So last week we met Will’s favorite conquest, or in his words, “the best I ever had” and this week we get the best story about those two. As you can probably guess by the title and the picture, this particular story involves a Denny’s. It was towards the middle of their affair, and Will lived in downtown Portland, ME with three of his friends. One morning they decided to head out to Denny’s for breakfast. The four of them get there, sit down and order their meals. Will tells his friends he will be right back, he needs to go across the street for something. Come to find out, his mistress lived across the street from this particular Denny’s. So while his friends are waiting for their breakfast Will crosses the street, takes care of his business, walks back across the street and sits back at the booth. The best part about the whole thing is, his breakfast wasn’t even finished cooking when he got back. He had to wait like 10 more minutes for his food. The restaurant wasn’t busy, so the food was cooked at a normal speed for a Denny’s. Ever since we heard the story, my friends and I always have to ask one question when anyone decides to go to Denny’s. 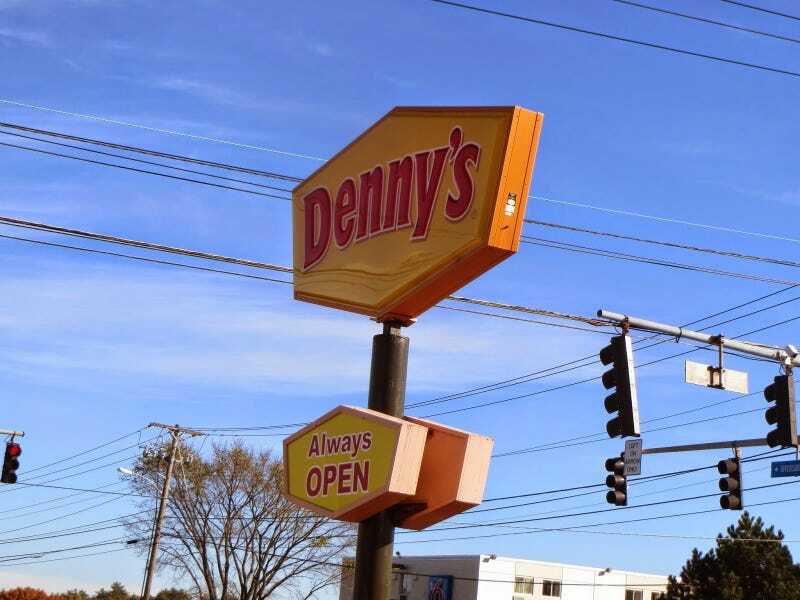 Are you going to the (add local city’s location here) Denny’s or the Will Winslow BJs Denny’s? We have gotten some great looks and responses from that question. And Will always obliges when we go to Denny’s with him. One time he was going out to eat with Phil and they decided to go to Denny’s. There was one literally a minute from where they were, but Will started driving the opposite direction. Phil asked him where he was going and Will just said, “you wanted the BJs Denny’s right?” Phil got the biggest smile ever on his face and just sat back and waited for the 10 minute drive. If you missed any stories and want to catch up, I’ve got you covered. Last Week’s is linked above. Back to the normal day this week! The header image will make sense by the end of the story I promise.